Alex McLeish and his players chose to remain on Greenwich Mean Time in a bid to cope with the demands of the long trip to Kazakhstan. But after delivering one of the most abject and pitiful displays in the chequered history of the Scottish national team, how McLeish’s squad must desperately wish they could turn back the clock. Against opponents currently 77 places below them in the Fifa world rankings, Scotland began their Euro 2020 qualifying campaign with a result and performance which raises wholly justifiable doubts over McLeish’s ongoing credibility as manager. Regardless of the players unavailable to him for a variety of reasons, the buck stops with McLeish and his assistants James McFadden and Peter Grant when it comes to addressing the sheer incompetence of the team they fielded in the Astana Arena. 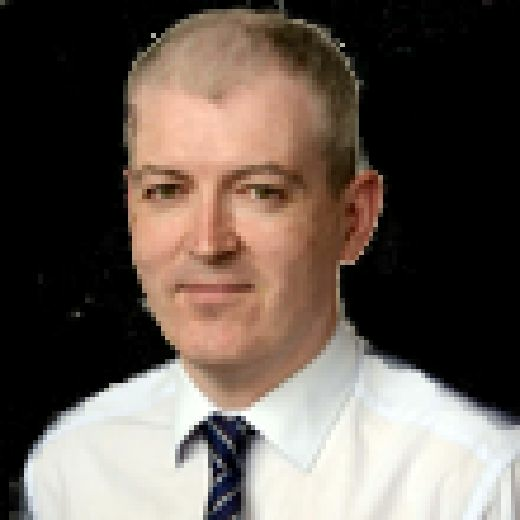 Scotland supporters have endured many painful experiences following the fortunes of their team but it is difficult to recall any performance as lacking in direction, cohesion and passion as this latest debacle. Kazakhstan, a team whose only win in their previous 16 competitive games came against Andorra, will surely never enjoy a more comfortable 90 minutes. McLeish’s team selection appeared bold and ambitious enough. But from back to front, Scotland failed to carry out even the most basic requirements. As calamitous starts go, finding themselves 2-0 down after just 10 minutes was right up there in the depressing Scotland playbook which has been written over 10 failed attempts to reach a major tournament finals since 1998. An 11th botched campaign now looks very much on the cards. On this evidence, even the insurance policy of a guaranteed play-off following last year’s Nations League group success can’t provide any great confidence in Scotland’s prospects of appearing at the Euro 2020 finals. Poor Scott Bain must have been cursing Allan McGregor’s decision to retire from international football on the eve of this campaign. The Celtic goalkeeper was blameless and left horribly exposed as his first starting appearance for his country quickly turned into a nightmare. The central defensive partnership of Scott McKenna and David Bates had shown promise in the latter stages of the Nations League group. But along with debutant right-back Liam Palmer and left-back Graeme Shinnie, they were fatally hesitant in that devastating opening spell. It was an especially wretched period for Aberdeen captain Shinnie. He played Yuriy Pertsukh onside as the striker latched on to Alexander Merkel’s simple through ball over the top and smashed home Kazakhstan’s opener in the sixth minute. Four minutes later, Shinnie simply switched off completely as Yan Vorogovskiy ran onto Islambek Kuat’s pass and slid the second goal beyond the helpless Bain. Even allowing for the relative lack of international experience in a Scotland starting line-up with an average age of 24.5, the paucity of their response to the early setbacks was a source of dismay. Oliver Burke was the most promising outlet in attack but the desperately poor quality of his final pass or cross from good positions summed up the overall ineffectiveness of Scotland’s play. Callum McGregor, captain for the night, was never able to dictate proceedings in the incisive manner he so often does for Celtic from the middle of the pitch. John McGinn showed plenty of energy alongside him but was too often guilty of giving the ball away cheaply. James Forrest, McLeish’s saviour in turning the Nations League campaign around so successfully, was never able to make a similar impact as he was marked out the game by the tactically diligent Kazakhs. It was a triumph for their coach Michal Bilek. He was happy for Scotland to dominate possession, soon safe in the knowledge they lacked the wherewithal to do anything positive with it. Kazakhstan, happy to wait for the opportunity to counter attack, remained the more dangerous side throughout. Any hopes of a Scotland comeback evaporated six minutes into the second half when more weak defending saw McKenna outjumped all too easily by Baktiyar Zaynutdinov, who headed home Gafurzhan Suyumbayev’s cross to make it 3-0. The game was well and truly up for McLeish who has now suffered seven defeats in the 11 matches of his second spell as Scotland boss. He made changes in a bid to salvage some pride on what must go down as one of the worst nights of his long and illustrious career. Oli McBurnie, who had been completely isolated up front and lacked any support as he made his first competitive start for Scotland, was replaced by Johnny Russell but, by that stage, the Kazakhs were in cruise control. The final whistle was an act of mercy from a Scottish perspective. 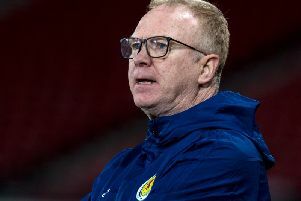 For McLeish and his players, the journey back across several time zones to face Group I minnows San Marino on Sunday should be one of agonising self-reflection.